Besta Beal witnessed her son Bradley reach his NBA dreams last Thursday evening in Newark, New Jersey. She saw him walk across the stage after being selected third overall in the draft by the Washington Wizards and shake David Stern’s hand. It was official. Mama Beal beamed proudly at the sight, but was able to keep her emotions in check on her son’s big birthday night. 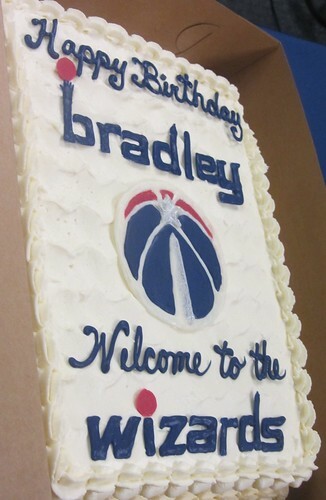 That is until Bradley was welcomed to Washington, D.C. at a press conference the next day. Then, the tears of joy rolled out. “I wanted to cry (at the draft), but I didn’t feel it. Until we sat down, saw him front all of you (the media), it all came out,” she said. Bradley’s father, Bobby, battled a similar bout of affectionate restraint. Raised by blue-collar parents as the middle child in a house of five boys, Beal’s upbringing and ascension to the NBA epitomizes the story of hard-working American values. Besta is a high school teacher; Bobby has been retired since being laid off from a Chrysler automotive plant in St. Louis that closed in 2009. Bradley’s two older brothers, Brandon and Bruce, played college football and will move in with Bradley to help him adjust to living in D.C. His younger twin brothers, Byron and Bryon, are football lineman recruits entering their junior years at the same high school, Chaminade, where Bradley starred. Once he picked basketball, he poured himself into it. Blessed with his family’s genetics, he also was imbued with their work ethic. Besta remembers on more than one occasion when she’d come home from work only to be nagged by her son to take her [sic] to the gym. She’d hold him off by asking for an hour’s nap. 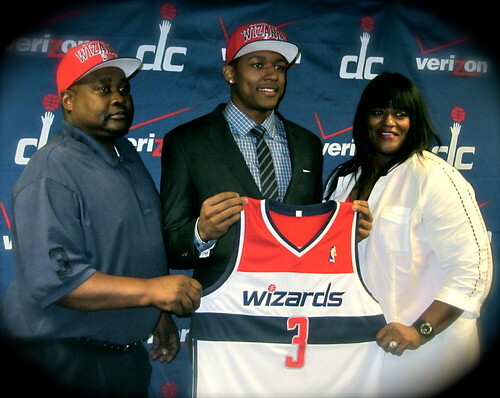 Beal’s talent shined, and he was recognized as the nation’s top high school player in his senior season. But at the University of Florida, Bradley faced his first ever basketball adversity in the form of an early season shooting slump. Beal ended the last two games of 2011 and began the first two of 2012, including Florida’s SEC opener, going a combined 2-for-16 from the college 3-point line. His parents, worried, took a long road trip to help their son through his difficulties. Besta diagnosed the issue to be more cerebral than mechanical. During their visit, Bradley found his old stroke in a 70-48 home win over Georgia by nailing 4-of-6 3-pointers. From there, he upped his game and carried the Gators all the way to the Elite 8. He learned a valuable lesson from the tumultuous experience. His appreciation for his family and what it has meant for his basketball career is clear. In a few interviews with Bradley, I have been struck by what a polished, bright, and genuine dude he seems to be. This sentiment is shared by others who have spent time with him. Alex Tarshis, a representative of Beal’s from Priority Sports, told me how impressive Bradley was throughout the NBA interview process, and how he was a natural at answering any question thrown his way. 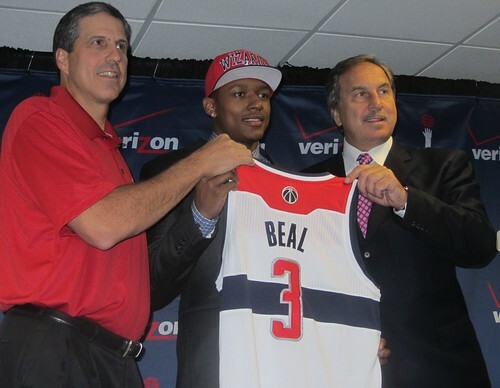 Beal’s high character also struck a chord with Wizards coach Randy Wittman. Coaches of Beal along the way would agree. The Washington Wizards have added to their roster a talented, smart, driven, level-headed, and family-oriented guy who people love being around. Beal has a mature perspective on life at a young age and has already expressed a desire to give back to the community. Rejoice, Wizards fans, because the team has found a true winner and solid human to get behind. Adam is a bro from the Midwest who's been bopping around the District of Columbia for years. He's down with a range of sports, etc. and has covered the Washington Wizards for TAI since 2010.